In March 2016, just two months after receiving our SBIR funding, we completed the first version of Ryan. 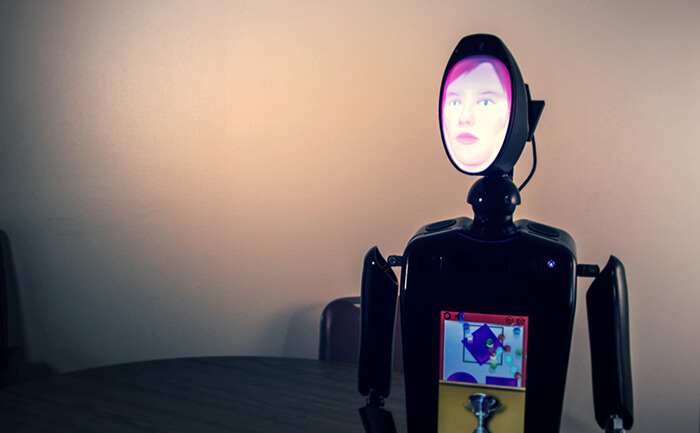 Using a patented animation projection, Ryan was equipped with a Mitsuku chatbot, XBox Kinect, and Intel’s Speech to Text software. These online services allowed us to create a working prototype that could be used to test product feasibility.